The news made me livid. So much time, effort, and reported labor exploitation went into the pursuit of this superficial idea of what “cinema” is. 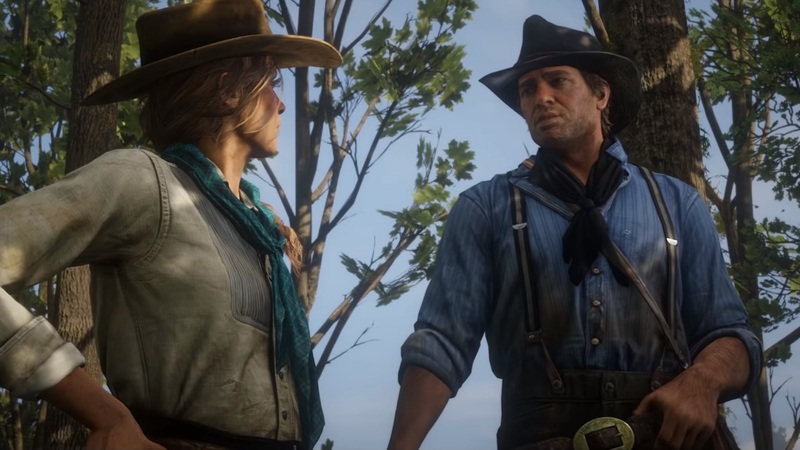 Since the medium’s earliest years, video games have leaned on cinematic technique in half-baked attempts to seem more like some subjective idea of high art; Rockstar’s 2018 blockbuster is just one of the latest examples of this trend. However, its skin-deep use of filmic method is also one of the most egregious. Film deploys each of its methods to convey some kind of message, meaning, or mood. For example, in The Grand Budapest Hotel, differing aspect ratios are used to evoke certain time periods. 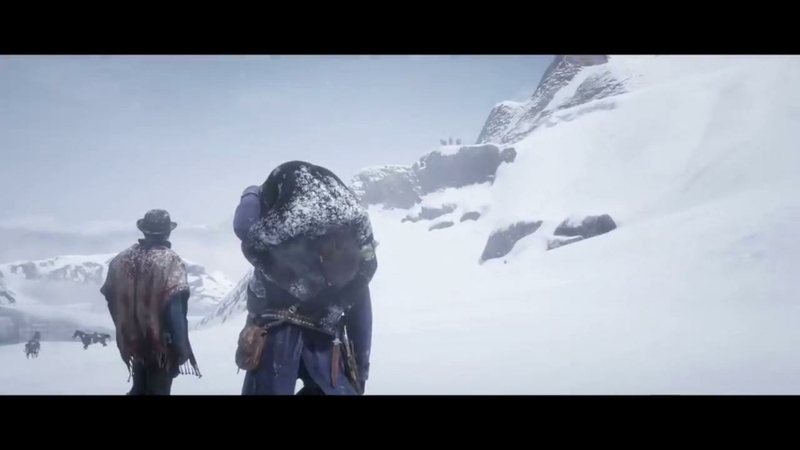 The deliberateness with which film directors use cinematic technique, however, is absent in Red Dead Redemption 2. Take the previously mentioned widescreen bars: are in the game is to make it look like a movie — nothing more, according to Schreier’s sources. Even then, letterboxing is only actually used in cinema to allow widescreen aspect ratios to be seen on smaller screens. Normally, home devices can only show tinier aspect ratios than the ones movie theaters use. So the bars’ use here is utterly superficial. They add nothing to the game in the same way that they do for the movies Rockstar wished to emulate. They simply evoke the look of movies. However, there is an even more outrageous use of filmic method: the cinematic camera. For those not in the know, you can activate this mode by pressing the touchpad on PS4, or the view button on Xbox One. “Cinematic” mode only adds the most basic editing, camera movement, and framing found within the movie industry. Included are long tracking shots, hard cuts, and the widescreen bars… Again. But this time they’re not even willful, albeit misguided decisions. They’re pseudo-randomly selected by the game’s internal logic and scrounged together as a collection of techniques without the necessary craft to glue them together. Let’s look at the long tracking shots. Normally in cinema, long shots are either used to establish space or, more regularly, to convey a character’s loneliness and isolation. In Red Dead Redemption 2, it’s just another invocation. It summons cinematic language without knowing when or where the player is currently place in the story, for the sole purpose of making them croon at the landscape present in the game. It’s a very detailed landscape, to be sure. But it just shows you what you have already seen in a slightly different perspective, due to the mechanical, unfeeling nature of the feature. The hard cuts to other camera angles are even worse. A hard cut is when a film moves between shots without any transition. It’s the most basic of all editing techniques. The studio could have used dissolves or matched cuts with the action. Instead the cinematic mode swings wildly between points in the sequence without stylistic rhyme or reason. 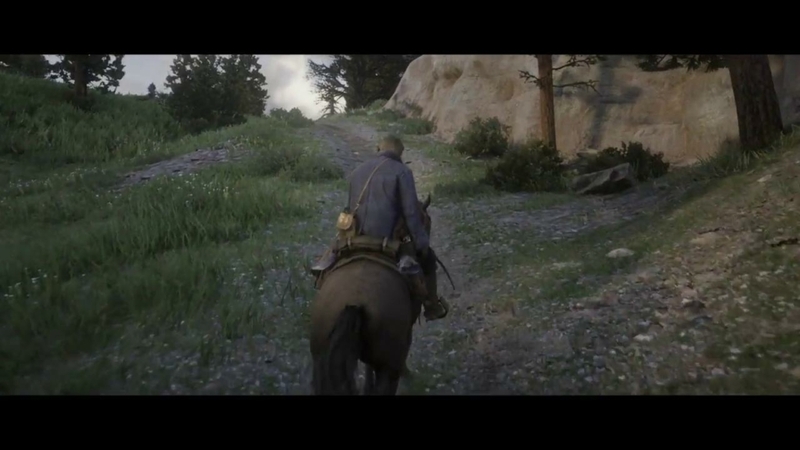 In addition to that, the mode always starts with the exact same camera angle: behind Arthur Morgan. It’s formulaic — in the sense that it borrows variables from a formula, not that it reaches the same wonderful results as its inspirations — when it could have been adventurous. The only positive of this camera mode is that it lets the player to take their hands off the controller. 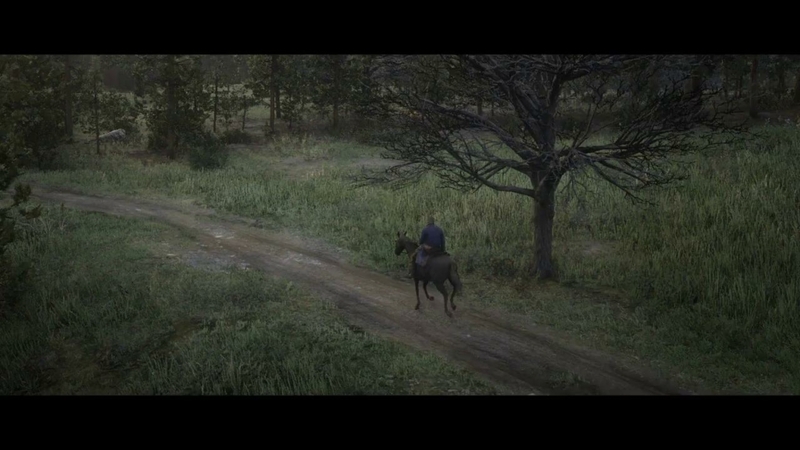 Arthur and his horse move automatically forwards with the cinematic camera active. Its best use-case, then, is to take agency away from the player and let Rockstar set the scene as it intended. That’s actually kind of nice, given the game’s many long, arduous A to B rides. It almost functions like a pseudo-fast travel option. But why is this boring, poorly plagiarized technique worthy of discussion? Let’s look at the the implicit cinematic envy within these choices. Let’s further take for granted that Rockstar, like so many game studios that use “cinematic” as a buzzword, wants to make the game look like a movie. The studio (like so many others) is envious of how cinema is perceived as high art. It wants to make Red Dead Redemption 2 look and feel like something extremely culturally important and worthy of study. Not only is this philosophy reductive, it’s also self-defeating. Rockstar’s refusal to leverage its vast resources on anything but playing copycat does video games a disservice. It implies that they have nothing unique to offer that can compare to the films they mimic. That’s simply not true. The medium doesn’t need to borrow from older ways of telling stories for people to care. It has its own interesting techniques and features that make it compelling, worthy of praise, and enjoyable. I can count a number of times where I was moved simply by the gameplay of a title, rather than anything it borrowed from other art forms. This issue here isn’t just emblematic of game developers, though. Critics also repeatedly misuse and regurgitate the word “cinematic” as part of games marketing. But this is only the most simplistic understanding of cinematic language. If video games want to use — and eventually repurpose — cinematic techniques, they need to look into the rest of the spectrum of more complex ideas. Mise-en-scène — creating a mood loaded with meaning and symbolism through visuals — is wildly underused in games, for instance. And complex editing techniques such as the Kuleshov effect, which creates more meaning by juxtaposing two shots in sequential order, is basically nonexistant in games. And hell, 3D game spaces are practically built to break the 180-degree rule. Of course creators will look to the past for inspiration. But there’s so much more to learn from what film does, rather than simply what we think it looks like. And if game only looks to borrow from older media, without actually understanding it, mabye its creators should look to the rich history of features laid out by past developers that are already worthy of study and praise. Techniques like level design and manipulation of controls are unique to games, for instance. We are already at a point in the medium’s evolution where we should explore what only it can do, and has done, along with its limits.That doesn’t mean it should wholly ignore film. The two can borrow and learn from each other, as long as it is with a particular purpose and intent, rather than for surface reactions.